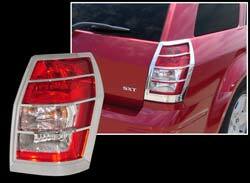 Accent the Tail Lights of your Magnum. You can never have enough chrome on the Magnum, it was designed for chrome! Super easy installation.